Shirley B. Scarbrough, 79 died Tuesday, August 28, 2018 at Erlanger Medical Center. A lifetime resident of Rhea County, Shirley was the daughter of the late Addison and Velva Aslinger Burton. She was a graduate of Rhea Central High School, Class of 1957. Shirley was a homemaker and devoted her life to taking care of her family. She was a member of the Garrison Baptist Church in Dayton. Shirley loved birds and flowers and working outside. She was preceded in death by her husband Charles Robert “Bobby” Scarbrough and her sister Donna Faye Harwood. She is survived by her daughter Melisa S. Keylon of Dayton, brother Bobby (Carolyn) Burton of Dayton and grandson Logan Hall of Dayton. Funeral services will be held on Friday, August 31, 2018 at 4:00 pm in the chapel of Vanderwall Funeral Home with Rev. Mike Breeden officiating. Interment will follow in the Rhea Memory Gardens in Dayton. The family will receive friends Friday from 2:00 pm to 4:00 pm at Vanderwall Funeral Home. Vaughn Funeral Home, Spring City, Tennessee, is in charge of arrangements. 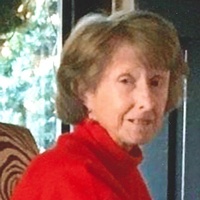 Please share your condolences and memories of Shirley on our website www.vaughn-funeral-home.com.